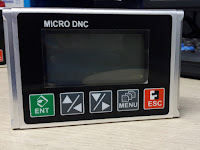 DNC Transfer Device network model - Include all function of model 1 and it can transfer data via Lan connection (RJ 45 Port), using our tools: Hp TFTP to control. DNC Transfer Device wifi model - Include all function of model 1 and model 2 and it can transfer data via Wifi connection , using our tools: Hp TFTP to control. 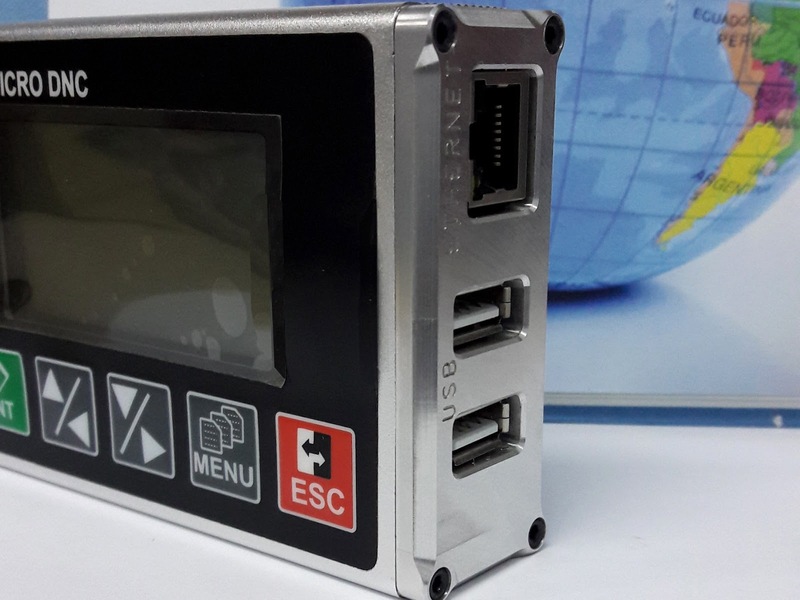 DNC Tranfer Device network model is used to transfer/send file Gcode file to CNC machines ( DNC drip feed , cnc drip feed ), Gcode file was sent to the DNC device via Ethernet or Wifi, besides that, it is equipped with 2 USB ports to read program from USB , which gives customers many different options to transfer DNC, DNC communication to one or more CNC machines. For a factory or workshop with many CNC machine, it's better and faster when using Lan network to transfer DNC - CNC. 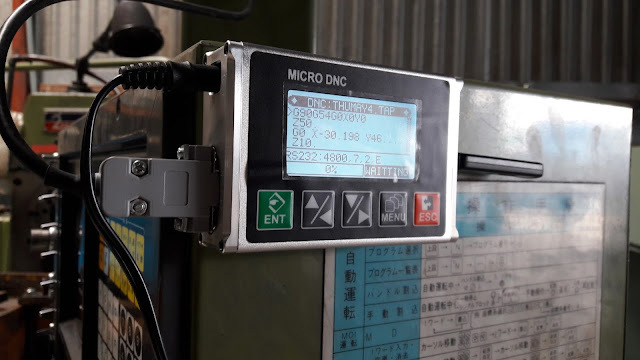 Traditionally, each CNC machine will be equipped a PC with dedicated software installed for DNC (DNC drip feed) communication (as CimcoEdit, ProDNC, ...). 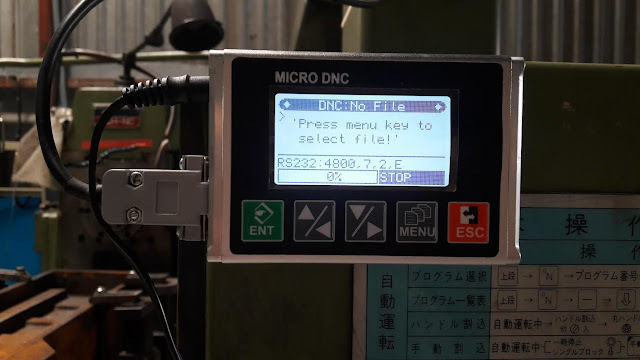 CNC Machine operators will select the file from the shared drive of the server to get Gcode file and run the DNC (transfer data file to CNC machine). The cost to config network multiple computers quite high. The computer waste workshop area. The computer manipulation spend a lot of time. Using computer can distract workers' jobs. The computer is easy to be infected by virus and get software error. 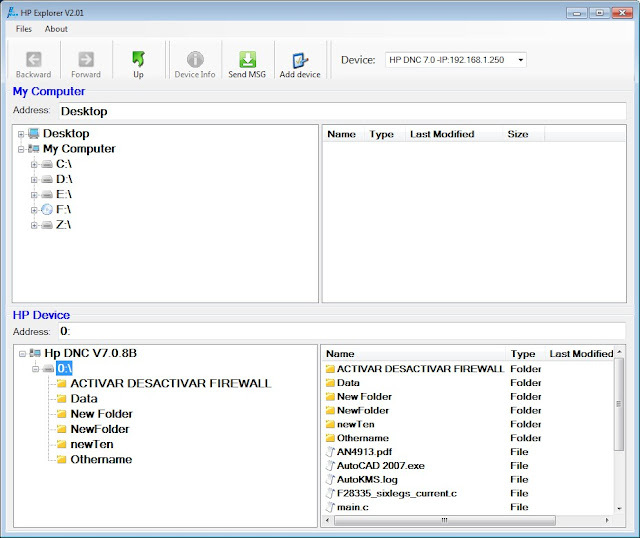 Therefore, we create another version of DNC transfer device - DNC transfer device with networking. From now on, you just need only 1 computer to transfer file to many CNC machine and multiple DNC device on your own PC via Lan network. 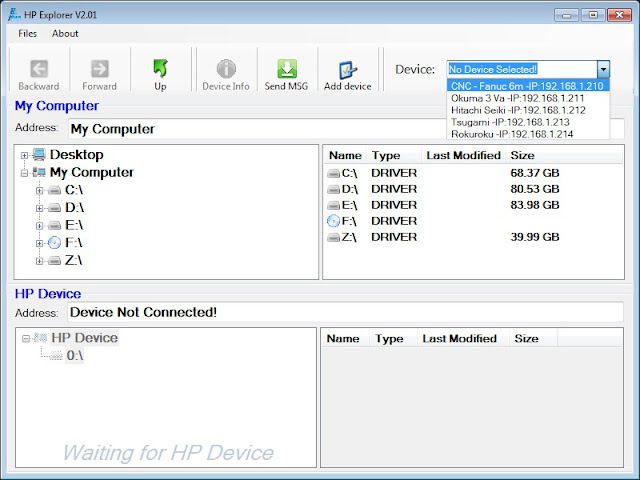 It's more comfortable, faster, easy to install and operate the DNC system. 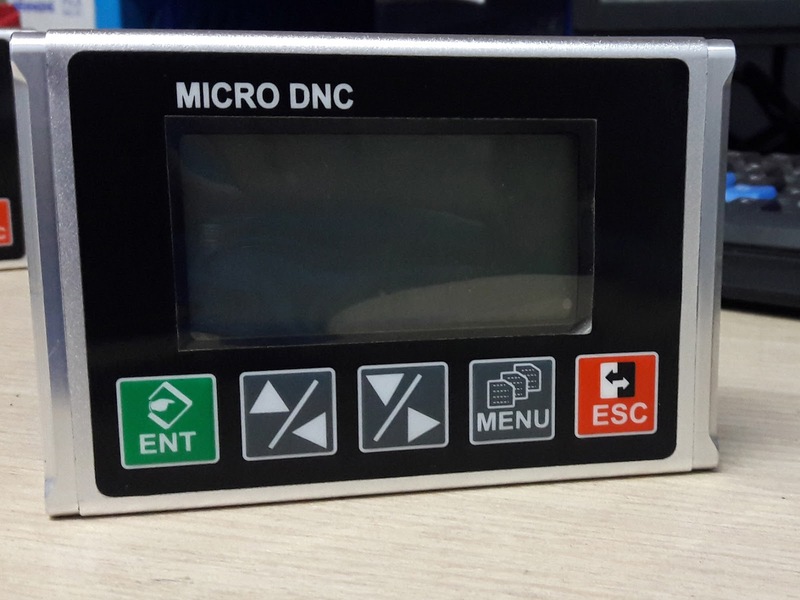 As the picture above, DNC Tranfer Device connected to Switch with LAN cable (RJ45 port), Switch connected to Modem or computer directly, the operator can control DNC device and manipulate with device on their own computer without touch the device. The first numerical controlled machine was developed in 1952. Instead of a sheet metal card or template, punched tape was used containing binary-coded data. For the first time a machine worked according to rules which had been condensed into a control programme. 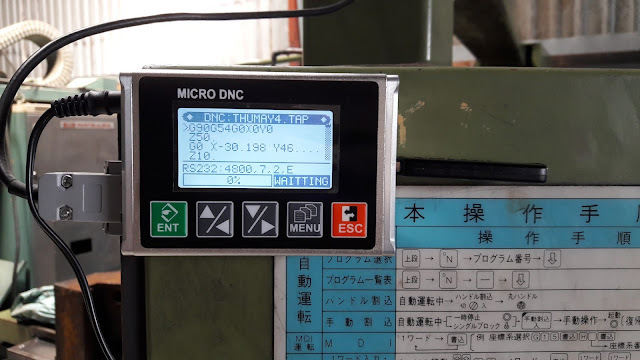 The computer numerical control (CNC) machine has a built-in computer, which is used to store and send instructions to different parts of the machine in the form of code. The machine responds to this coded information in a precise and ordered manner to carry out various machining functions. 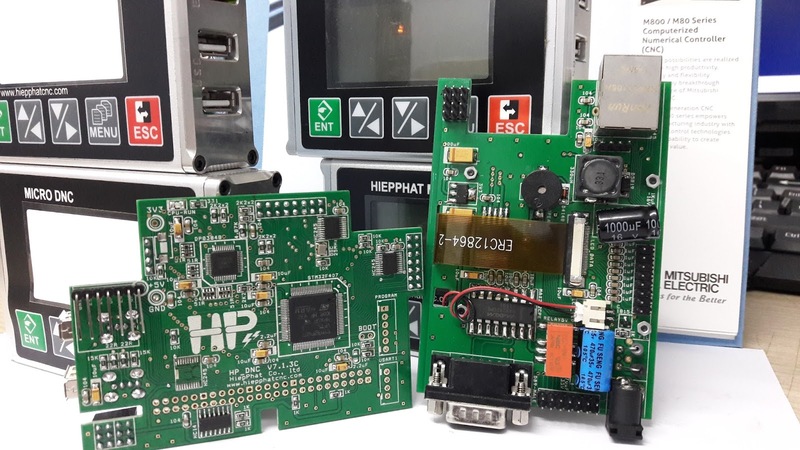 When programs are too long to fit within a CNC control’s memory, one alternative is to use a direct numerical control system. This kind of system is called a DNC system, but must not be confused with a distributive numerical control system (also called a DNC system) that simply transfers programs to and from the CNC machine. 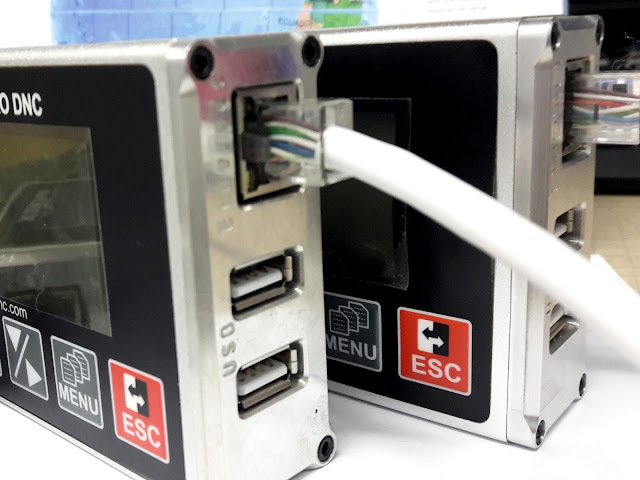 When programs are too long to fit within a CNC control’s memory, one alternative is to use a direct numerical control system. 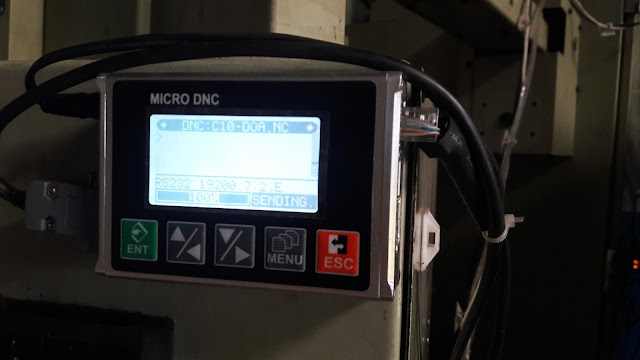 This kind of system is called a DNC system, but must not be confused with a distributive numerical control system (also called a DNC system) that simply transfers programs to and from the CNC machine. 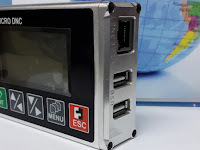 With a direct numerical control system, the program will be run from a device (commonly a PC) connected to the machine’s communications port (the RS-232c port).